I am up to my neck in 5th birthday party preparations, but I had to stop and say, nay SHOUT, that this week marks the second anniversary of my lovely, indispensable editing/sanity-maintaining/friendship-over-miles collective The Veggie Vag! I wrote about it last year, so if you’re curious, hit the link and read on, the VV continues to be all it was a year ago, but better, deeper: solid goodness. I doff my hat to fellow members Christa Couture and Lindsay Zier-Vogel. And to our imaginary assistant Dane. Fron L to R: Christa Couture, Lindsay Zier-Vogel and Susan Kendal (that’s me!) cheers-ing their awesomeness and 2 years of formal Veggie Vagging. 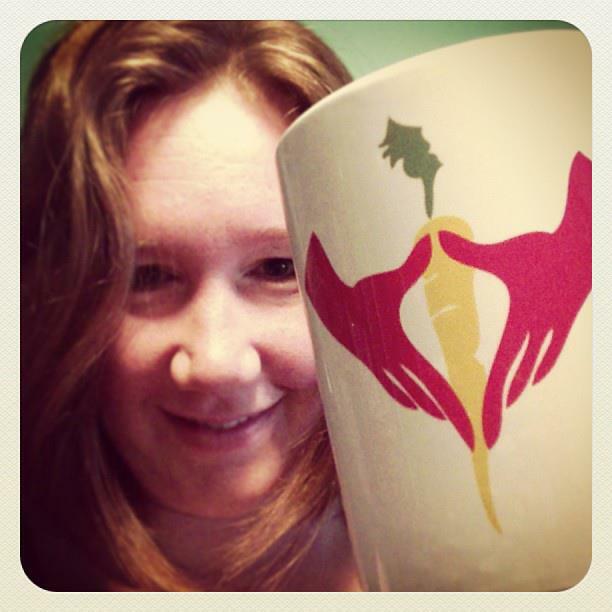 Christa sent us a photo of herself cheers-ing with her 1st anniversary mug, saying, “It’s more than a mug – it’s a reminder every morning I’m home of the dearest friends, the biggest laughs, the quickest rallying of support/bat signal replies, the best edited grant applications, and the feeling of shrinking the geographical spaces between us.” Which of course meant that Lindsay and I had to promptly stop what we were doing and also Instagram photos of ourselves cheers-ing … the best kind of procrastination!